One of the most defining chapters of my life has been my first career at Cisco. 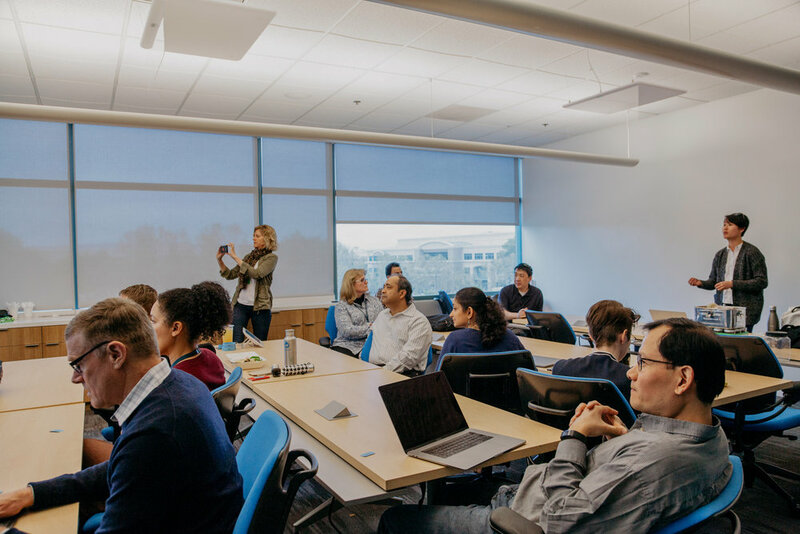 Some of you may have seen my updates on Cisco Green Team activities, as well as some highlights from my full time role as a Sustainable Packaging Program Manager. When I first came to the company in 2015, I didn't jump right into sustainability though, and it took me some time to get there. For those of us looking to live a more sustainable lifestyle, perhaps through zero waste, a plant based diet, etc., there's no better thing than to have our full-time jobs align with those values. I soon realized this after a year of working in IT and feeling as though I wasn't able to flourish in my passion for sustainability. And so, this post has a few tips of how I started the Cisco Green Team Network, an official employee organization at Cisco dedicated to greening our offices and communities, and tips for how I landed my role in the sustainability field, even though I don't have a sustainability degree. Everyone has the potential to make an impact wherever they are in the company! If you'd like to watch the latest youtube video above, go for it, otherwise a written synopsis is also below. 1. Find like-minded people - It's daunting to tackle sustainability changes in any organization, large or small, especially on your own. Find some other eco-minded employees that may want to volunteer their time and join the cause. There's no denying that two is better than one in this case, as having support from others on your team comes as a huge encouragement. 2. Start small - When we launched our first Bring Your Own Cup campaign, we kept it simple. We only had four dedicated, yet passionate volunteers that were willing to make it work. You can read more about our first green team campaign which was featured on the Cisco website, but from that small pilot campaign, we knew we had the potential for something bigger. 3. Grow your network and partnerships - As mentioned, making changes in any company will affect many stakeholders. For us, it was important to make good ties with the workplace resources team and sustainability team. We were also able to pitch to executives and secured a sponsor who was able to fund us for future activities. Soon enough, we were able to officially establish ourselves as the Cisco Green Team Network and were able to grow our employee organization. 4. Bonus tip, tie in the business benefit - Not every green team campaign will have this perk, but if there is a business benefit (usually lowered costs) due to any green team changes, make sure to illustrate those impacts to those who may be concerned about the changes you want to implement! Businesses always want to be savvy when it comes to cost savings, so drive it home with the sustainability benefits too. 1. Apply sustainability to your current role - For myself, this was realizing the potential to apply sustainability principles into designing packaging. Another great group I was involved with in college was Net Impact, an organization which educates and inspires students and professionals to be socially and environmentally responsible in all areas of business. Also explore what other professions may be doing in business today by looking at CSR (corporate social responsibility) reports for your favorite companies, and see if there may be any creative opportunities out there! 2. Network - Build your network in your current company, or even outside your company, and connect with people that work in the sustainability field. Get to know them, build relationships, and seek to understand the type of work they do to determine if it would be a good fit for you. 3. Do a stretch project - At Cisco, we have the option to try short term stretch projects with teams that we may want to learn a new skill from. I was able to do a short term project with the supply chain sustainability team which was a great resume builder, and gave me a better understanding of their team's work. Make sure your current manager is okay with you doing this! 4. Land the role - If it's the time for you to make the switch and you feel ready after being in your current role for some time, reach out to those in your network to let them know you're looking for a new position. You never know what they might say, so cast a wide net! If you've already done a stretch project of sorts with the organization, you may have already put a great lasting impression on your future team!